The department is pleased to announce the winners of the Sayeeda Zain Fall Travel awards: Shashank Chavali, Tyler Couch, Meemanage Dudarshika DeZoysa and Fanfan Hao. The Sayeeda Zain Travel Award honors the distinguished career and charitable life of Dr. Sayeeda Zain. The award is given in recognition of research excellence to support travel and related expenses associated with attendance at a scientific conference or corporate internship to gain practical experience. The next round of Sayeeda Zain Travel Awards will be offered in Spring 2019. Thank you to all those who applied and congratulations to Shashank, Tyler, Dudarshika and Fanfan! Dr. Smith spoke regarding the future of labeling and dosing of THC-free and THC-containing products relative to what we understanding from scientific and clinical research. Having founded CannaMetrix, LLC, a New York based company, Dr. Smith seeks to establish through patent pending, cell-based assays, to raise the standards for product development and quality control so as to better information patient choices of products containing full spectrum plant cannabinoids or synthetic cannabinoids and advance medicinal use of cannabis. 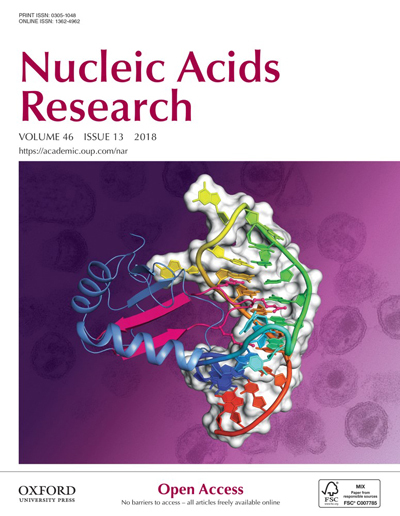 Highlights of Session 1.1.2 on Nucleic Acid were reported in ACA RefleXions Fall 2018 and provided many new insights into the form and function of nucleic acids and was co-organized by Dr. Joseph Wedekind and Dr. Rui Zhao. Dr. Wen Zhang of Harvard University presented mechanistic studies of non-enzymatic RNA polymerization using custom phosphoramidites with imidazole leaving groups that were caught in the act of catalysis by crystallographic snapshots. This work has implications for catalysis in a pre-biotic RNA world. Sun Cheol Park from Kangwon National University, Korea described DNA recognition by the PadR repressor. Binding of phenolic acid blocks DNA binding to relieve PadR repression, activating downstream detoxification genes. Dr. Yun-Xing Wang from NIH/NCI described use of an X-ray free electron laser to capture conformational changes of the adenine riboswitch during effector binding, providing insights into RNA-mediated translational regulation. 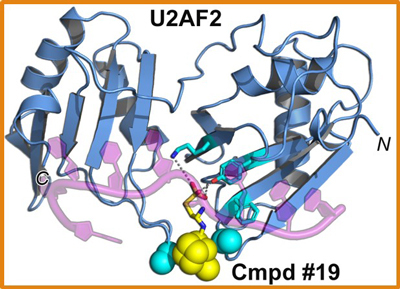 Prof. Clara Kielkopf from the University of Rochester described progress to decode the basis of 3´-splice site recognition of pre-mRNA by U2AF proteins, including polypyrimidine tract recognition and binding to degenerate splice-sites. The work has implications for correction of splicing defects found in human diseases. Dr. Eric Montemayor from the University of Wisconsin described later steps of pre-mRNA splicing, including a model for U6 snRNA remodeling by contacts to the Lsm2-8 ring protein and the Prp24 chaperone. Dr. Soumya Remesh from the Lawrence Berkeley National Lab used small angle scattering and soft X-ray tomography to reveal how small molecules interact with the abundant HU protein to alter DNA supercoiling. The work has implications for controlling bacterial gene expression. 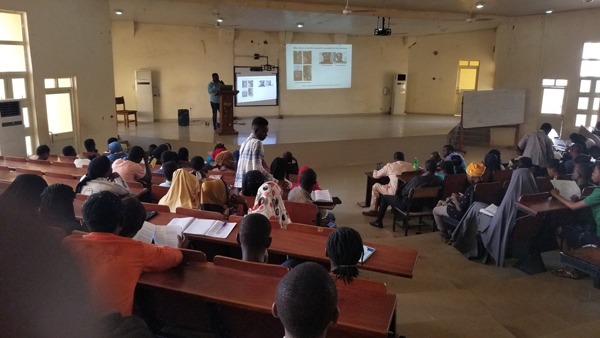 The session was anchored by Dr. Ailong Ke of Cornell University who presented structural snapshots that contribute a novel mechanistic framework to describe how bacterial type II-A CRISPR systems create new molecular memories of short, foreign ‘spacer’ DNAs that invade bacterial cells. Biochemistry professor Mark Dumont, Ph.D. is the recipient of the 2018 Outstanding Graduate Student Teacher Award. Established in 2013, this award is given to an outstanding graduate student teacher for record of excellence in classroom instruction. Mark was nominated by graduate students Brandon Davis, Ashwin Kumar and Matthew Raymonda. This award was presented at the School of Medicine and Dentistry Convocation Ceremony, September 6, 2018. The department would like to extend congratulations to Mark on this well- deserved honor. 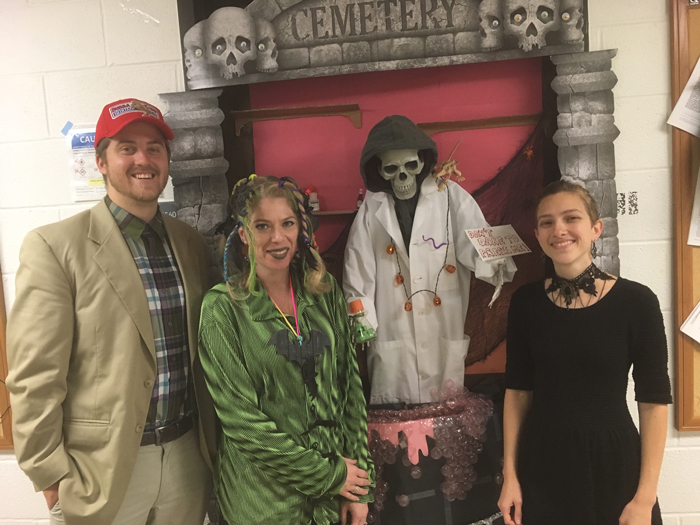 The department would like to thank all that participated in the BCBP Halloween Door Contest this year! Tied for second place are the Ermolenko Lab and the Grossfield Lab! Congratulations to everyone – the doors looked awesome! 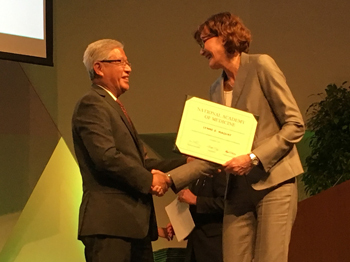 Lynne Maquat, PhD, was inducted into the National Academy of Medicine (NAM) on Saturday October 13th in Washington, DC. Here, she is receiving her diploma and congratulations from Victor Dzau, MD, President of NAM after being introduced by J. Michael McGinnis, MD, the Executive Officer of NAM. Congratulations, Clara and her lab! 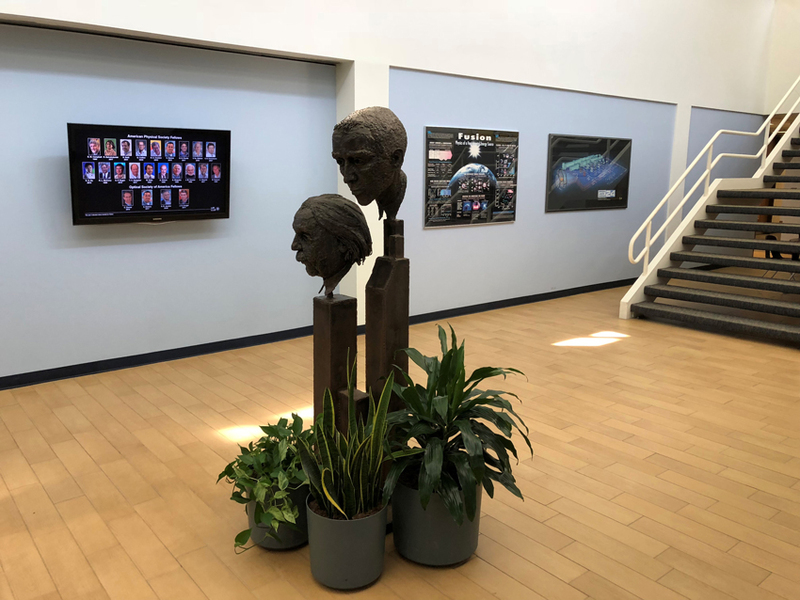 The Department of Biochemistry and Biophysics has loaned a statue of J. Robert Oppenheimer and Albert Einstein to the Laboratory of Laser Energetics. The sculpture was commissioned by the Department of Radiation Biology and Biophysics (William Neuman and Aser Rothstein co-chairs) in October of 1968 and was crafted by Achille Forgione, a notable Rochester artist. The work was in place by the fall of 1970, originally at the entrance to the OO wing, then moved to the Blair Library (no longer in existence). The statue has been in the back of the Neuman Room for many years. It is now displayed prominently in the LLE lobby. An engraved plate will be placed next to the statue, reading: "Albert Einstein, J. Robert Oppenheimer, Statue commissioned by Dr. William "Bill” Newman, On loan from the University of Rochester’s Department of Biochemistry and Biophysics"
For more information on Dr. Neuman and his work please visit our department featured alumni page. Co-crystal structure of HIV trans-activation response (TAR) RNA (rainbow ribbon) in complex with lab-evolved protein, TBP6.7 (blue Cα ribbon). A short peptide (pink) binds TAR outside the context of TBP6.7. (art by Joseph Wedekind). The underlying electron micrograph shows HIV virions (CDC image #13472 by Maureen Metcalfe and Tom Hodge). Investigators at multiple research institutes, led by Dr. Joseph Wedekind (University of Rochester) have described the high resolution crystal structure of a laboratory-evolved protein bound to its tightly associated HIV TAR RNA target, and subsequent synthesis and characterization of a stapled peptide mimic of the predominant RNA binding epitope in that protein. The study provided a detailed framework for peptide-mediated TAR recognition that might be generally applicable to target other disease-relevant RNAs. HIV/AIDS is a global health threat that requires new insights into viral targets, especially those that resist mutation and promote novel aspects of the viral life cycle. In these respects, the HIV-1 trans-activation response (TAR) RNA is of ongoing interest. Previously, investigators (including some from this author group) developed methods to produce a unique lab-evolved protein (‘TBP6.7’) that recognizes TAR with extraordinarily high affinity compared to known TAR binders [Crawford et al. McNaughton (2016) ACS Chem. Biol. 8, 2206]. However, the molecular determinants of TAR recognition remained obscure, thus limiting the investigators’ ability to further exploit that discovery. The crystal structure of this complex allowed investigators to determine that only a subset of the ‘evolved’ protein sequences are actually involved in RNA binding, with the preponderance of interactions localized to a short β-hairpin. This observation led them to synthesize a short, stapled peptide that mimics the β-hairpin and attenuates TAR-dependent transcription in HeLa nuclear lysate. The study reported here [Belashov et al. Wedekind (2018) Nucleic Acids Res. 46, 6401-6415] is highly multi-disciplinary, spanning crystallography, site-directed mutagenesis, calorimetry, cell-surface display, ELISA, transcription assays, molecular dynamics simulations, and constrained peptide synthesis. In the end, the conversion of the parental RNA binding protein from single- to double-stranded RNA recognition implies that the protein has sufficient plasticity to recognize numerous RNA folds. The Wedekind laboratory at the University of Rochester investigates the mechanisms of action of non-protein-coding (nc)RNAs, and is interested especially in the three-dimensional architectures of these RNAs and how they bind to specific small molecules or peptides, leading to conformations that alter biological function. The research was supported by the University of Rochester Center for AIDS Research, and the National Institutes of Health. The Department of Biochemistry & Biophysics is pleased to announce the winners of the Sayeeda Zain Fall Travel awards: Debapratim Dutta, Sierra Fox and Hong Zhu. The Sayeeda Zain Travel Award honors the distinguished career and charitable life of Dr. Sayeeda Zain. The award is given in recognition of research excellence to support travel and related expenses associated with attendance at a scientific conference or corporate internship to gain practical experience. Debapratim (Dave) Dutta is presenting a poster and was invited to give a talk at the Annual RNA Society Meeting (Berkeley, CA). Sierra Fox presented a poster and was a Keystone Symposia Future of Science Fund Scholarship recipient at the Keystone Symposia in Chromatin Architecture and Chromatin Organization, and Gene Control in Development and Disease Symposia (Whistler, BC, Canada). Hong Zhu presented a poster at the III International Conference on Vaccines Research and Development (Washington, DC). Congratulations to the 2018 Biochemistry Graduates! The Department of Biochemistry and Biophysics congratulates the 20 young men and women who received their B.S. in Biochemistry this weekend. We look forward to their continued success in their future training and careers! In addition to the University-wide celebration, these graduates received their diplomas at a ceremony in The Class of ’62 Auditorium, attended by their families, friends, and faculty from the many departments involved in their training. The ceremony was officiated by Beth Grayhack, Ph.D., Director of the Undergraduate Program (Biochemistry and Biophysics), and was enriched by addresses from Sina Ghaemmaghami, Ph.D. (Biology) and Mark Dumont (Biochemistry and Biophysics). 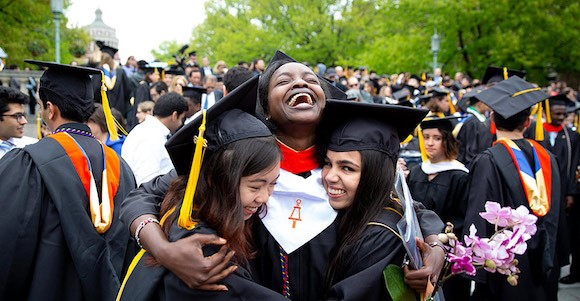 Congratulations to all the winners and our 2018 graduates! The magazine's new issue, now in an interactive, flip-book format, highlights the investigative work of the J. Lowell Orbison Endowed Chair, as well as the impressive efforts of our medical students, alumni and faculty—past and present. Lynne Maquat, PhD, received the 2018 Federation of American Societies for Experimental Biology (FASEB) Excellence in Science Award during the Experimental Biology 2018 meeting in San Diego, hosted by the American Society for Biochemistry and Molecular Biology (ASBMB). The award recognizes women whose outstanding career achievements in biological science have contributed significantly to the understanding of a particular discipline through scientific achievements, training of students and postdoctoral fellows, and contributions to the broader scientific community. Maquat is best known for unraveling RNA’s role in sickness and in health and for advocating for young women in the sciences. 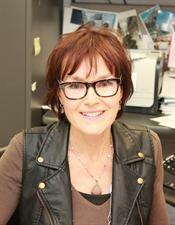 View Dr. Maquat’s award interview on ASBMB’s interviews page. Cancer is a group of diseases in which the body’s cells divide uncontrollably and invade nearby tissues. Scientists at Wilmot Cancer Institute and the University of Rochester’s Center for RNA Biology are working to understand more about how and why this happens. One piece of the puzzle they’re studying is ribonucleic acid, or RNA, which is found in all cells. RNA is made in the nucleus of a cell from our DNA, which holds the instruction manual for life. RNA puts those instructions into action. RNA comes in many forms. One form, called messenger RNA (mRNA), carries those instructions out of the nucleus to the ribosomes, where proteins are made. These proteins are essential for functions ranging from digestion to protecting us from disease. If the mRNA has a bad copy of instructions, then either a faulty protein or no protein is created, leading to diseases like cancer. Lynne E. Maquat, Ph.D., director of the Center for RNA Biology, studies a quality control process that blocks cells from making faulty proteins. Called nonsense-mediated mRNA decay (NMD), this process comes into play when mRNA has a set of instructions with a mistake that will lead to short or incomplete proteins. NMD acts like a set of factory inspectors that find and destroy this mRNA before the faulty proteins can be made. Sometimes, though, NMD doesn’t catch the mistakes and harmful proteins are made. This process plays a part in one-third of all inherited diseases, such as cystic fibrosis and muscular dystrophy, and one-third of all acquired diseases, including a number of cancers. One reason is that tumors can influence how these inspectors work. Maquat and her team are looking for ways to stop tumors from interfering with NMD with the goal of finding new ways to treat cancer. A team from Maquat’s lab has also identified a protein called Tudor-SN that is important as cells prepare to divide. This protein controls many microRNAs, molecules that are very small RNAs that control the expression of tens of thousands of genes. The scientists found that when Tudor-SN is removed from human cells, levels of hundreds of microRNAs go up, putting the brakes on genes that encourage cell growth. 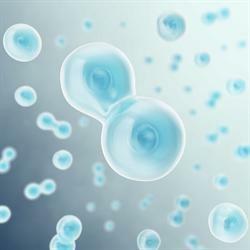 This slows down the process of cell division known as the cell cycle, which goes awry in cancer. Maquat and Reyad A. Elbarbary, Ph.D., a former post-doctoral fellow in Maquat’s lab, have filed a patent application for methods that target Tudor-SN for the treatment and prevention of cancer. They continue to study how Tudor-SN works in concert with other molecules and proteins so that scientists can identify the most appropriate drugs to target it. Scientists at the Center for RNA Biology are also looking at RNA’s other roles in cancer to find new treatment strategies. For example, Mitchell O’Connell, Ph.D., is studying how microRNAs can interfere with the way genes are expressed and lead to cancer. He and his team are using the gene-editing technology known as CRISPR, which he has adapted to edit RNA, to learn more about the proteins involved in this process. Yi-Tao Yu, Ph.D., and his team are studying various ways to modify mRNA so that it can override mistakes in genetic instructions. Sometimes there’s a premature stop signal that orders a cell to stop reading the genetic instructions in mRNA partway through the process, resulting in an incomplete protein. The Yu lab is working to alter mRNA in ways that turn “stop” signals into “go” signals, creating full length proteins and preventing diseases like cancer. The study of RNA biology is allowing scientists and physicians to explore entirely new treatment strategies for cancer and a wide range of other genetic and acquired disorders. 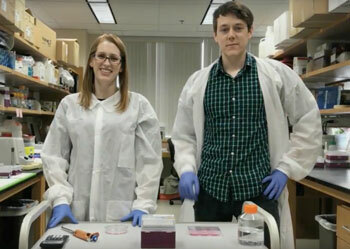 Learn more about the work being done at the Center for RNA Biology. The Wiley Foundation today announced the 17th annual Wiley Prize in Biomedical Sciences will be awarded to Lynne E. Maquat for elucidating the mechanism of nonsense-mediated messenger RNA decay, a fundamental process whereby cells remove defective transcripts that can encode toxic proteins. Looking further ahead, Stephen Tajc provides a look at his career in URBEST's series. Workshops on job descriptions and handling difficult conversations are available and CIRTL provides several events throughout the month. All this and more in the latest issue of OTE! The department is pleased to announce the winners of the Sayeeda Zain Fall Travel awards: Debapratim Dutta, Sierra Fox and Hong Zhu. The Sayeeda Zain Travel Award honors the distinguished career and charitable life of Dr. Sayeeda Zain. The award is given in recognition of research excellence to support travel and related expenses associated with attendance at a scientific conference or corporate internship to gain practical experience. The next round of Sayeeda Zain Travel Awards will be offered in Spring 2018. Thank you to all those who applied and congratulations to Dave, Sierra and Hong! Lynne E. Maquat, Ph.D., the J. Lowell Orbison Endowed Chair and Professor in the Department of Biochemistry and Biophysics at the University of Rochester School of Medicine and Dentistry is the recipient of the 2017 Vanderbilt Prize in Biomedical Science. Established by Vanderbilt University School of Medicine in 2006, the competitive prize honors women scientists with a “stellar record” of research accomplishments who have made significant contributions to mentoring other women in science. Maquat is internationally known for a huge body of research that describes what goes wrong in our cells during disease. 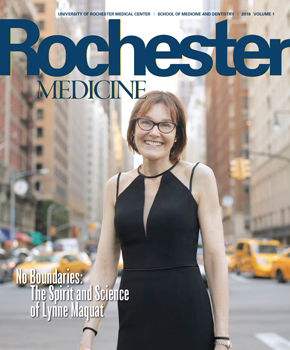 The founding director of the University of Rochester’s Center for RNA Biology, she has spent her career deciphering the many roles that RNA plays in sickness and in health. She’s dedicated a great deal of time to helping women advance in scientific careers and in 2003 established the University of Rochester Graduate Women in Science program. Through monthly round-table discussions with high-profile speakers who are using advanced degrees in traditional and non-traditional ways, the program seeks to broaden awareness of what women can do with a Ph.D. Program members can apply for travel awards to attend conferences, seminars or other external events that will help them advance their careers. Maquat, also a professor in the Wilmot Cancer Institute, is the recipient of other prestigious honors, including the Canada Gairdner International Award; the International RNA Society’s Lifetime Achievement Awards in Service and in Science; the Federation of American Societies for Experimental Biology (FASEB) Excellence in Science Award; the Rochester ATHENA Award®; and election to the National Academy of Medicine, the National Academy of Sciences and the American Academy of Arts and Sciences. Maquat is the 12th recipient of the Vanderbilt Prize in Biomedical Science and will receive the prize on November 29, 2018, when she is scheduled to give a Flexner Discovery Lecture. She will also meet with Vanderbilt faculty and mentor Vanderbilt Prize Scholars, women who are pursuing graduate studies in the biomedical sciences in the School of Medicine. The latest issue of Opportunities to Explore is out! Deadline for the Teaching-as-Research (TAR) Fellowship and is Friday, December 1, 2017. Check out the CPD’s Lending Library catalog to see free professional development books and resources you can sign out and utilize. To borrow a book, stop by our office in G-9627 or email us with your request. Lynne E. Maquat, Ph.D., the J. Lowell Orbison Endowed Chair and Professor in the Department of Biochemistry and Biophysics and Director of the Center for RNA Biology gave a Harvey Society Lecture on October 19 at The Rockefeller University in New York City. The lecture series is one of the most prestigious in the country and the lecturers, who are selected by the Harvey Society's leadership council, are leading biomedical researchers from around the world. Maquat discussed her career path and the discovery of nonsense-mediated mRNA decay (NMD), which she first described for humans in 1981. NMD is a cellular quality control mechanism that derails the production of unwanted proteins in the body that can disrupt normal processes and initiate disease. Maquat is known around the world for her work on NMD, which is critically important in both normal and disease states. UR President Joel Seligman and URMC CEO and SMD Dean Mark Taubman attended the lecture. Founded in 1905, the Harvey Society sponsors seven lectures annually that are open to the public and are attended by hundreds of scientists from New York City and the surrounding areas. The Harvey Lectures are one of the great traditions in New York science and they are a place where scientists from different institutions meet regularly. Interested in learning more about employment within industry? Kurt Schilling, PhD will be here to share his career story and discuss what he does as senior vice-president of Basic Research and Advanced Technologies at The Estée Launders Companies, Inc. Applications are now open for the Teaching-as-Research (TAR) Fellowship and will be accepted until Friday, December 1, 2017. Later on this month there are events about negotiation, health insurance for postdocs, and online and virtual career fairs. All this and more can be found inside! The Week of Undergraduate research day is here! But before you get to that always awesome event on Friday, make sure you check out the other events happening this week and fill up your calendar with all the other things we have planned, by taking a look at the latest issue of Opportunities to Explore! Lynne E. Maquat, Ph.D., an internationally recognized researcher who studies what happens in our cells during disease, has been elected to the National Academy of Medicine. The honor is akin to an actor receiving an Emmy for an outstanding performance; current members of the Academy elected Maquat for her exceptional research in the field of RNA biology. The accolade places her amongst an elite group of scientists and physicians who have made significant contributions to health and medicine. In studying RNA, a close cousin to DNA, Maquat has discovered intricate cellular processes that influence normal genes, as well as genes involved in a wide range of diseases. Her findings are leading to the development of new treatment approaches for everything from cancer and heart disease, to intellectual and developmental disabilities and other neurologic disorders. Formerly called the Institute of Medicine, the National Academy of Medicine is an independent organization of professionals from diverse fields that advises the nation and the international community on issues in health, medicine and related policy. For example, in 2016 the Academy released a report calling for more and better research into ovarian cancer, one of the deadliest cancers, and recently issued a report detailing how physicians can help combat America’s opioid crisis. The J. Lowell Orbison Endowed Chair and Professor of Biochemistry & Biophysics and of Oncology at the University of Rochester School of Medicine and Dentistry, Maquat is also an elected member of the National Academy of Sciences and the American Academy of Sciences. She was the first individual from upstate New York to receive the prestigious Canada International Gairdner Award, the country’s top award for excellence in biomedical research, which she won in 2015. The National Institutes of Health has continuously funded Maquat’s research for the past 34 years and she’s published more than 150 papers and reviews. She is the founding director of the University of Rochester Center for RNA Biology and founding chair of the Graduate Women in Science program. She’s committed countless hours to mentoring the next generation of researchers and advocating for young women in the sciences. 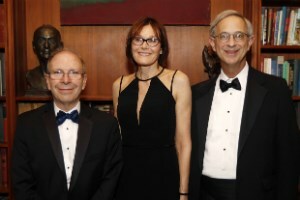 When she is formally inducted into the National Academy of Medicine in October 2018, Maquat will join four other active Rochester faculty members: Seymour I. Schwartz in the Department of Surgery: Elizabeth R. McAnarney in Pediatrics; Paul S. Frame in Family Medicine; and Robert C. Griggs in Neurology. On September 15, the department held its annual picnic at Genesee Valey Park. The day was fantastic, with food, friends and kickball! View the Photos of the event. Congratulations to Biochemistry & Biophysics Professor Russell Hilf, Ph.D., as his paper, Fluorimetric method for determination of oxidized and reduced glutathione in tissues, has been read over 1,000 times and cited over 3100 times! Congratulations to first year students who received awards at the SMD Opening Convocation on September 12, 2017. 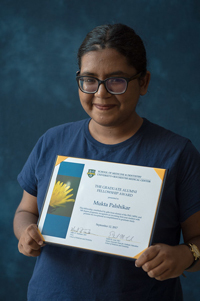 Mutka Palshikar, a first year student in the Biophysics, Structural and Computational Biology program won the Graduate Alumni Fellowship, which recognizes an incoming student with promise for exceptional accomplishment in graduate study. 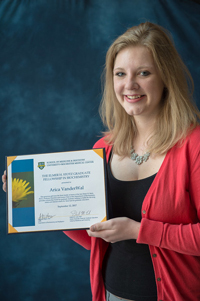 Arica VanderWal, a first year student in the Biochemistry and Molecular Biology program was awarded the Elmer Stotz Fellowship in Biochemistry, which recognizes the meritorious academic and research accomplishments of an incoming graduate student in the BMB program. 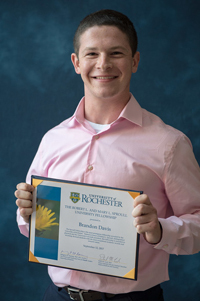 Brandon Davis, an incoming student in the Biochemistry and Molecular Biology program, was a recipient of a Robert L. and Mary L. Sproull University Fellowship, which recognizes the exceptional academic record and research talent of selected students in the first year class University-wide. Congratulations again to Mutka, Arica, and Brandon! The newest issue of Opportunities to explore is out! Biochemistry professor Mark Dumont, Ph.D. has been selected as the 2017 recipient of the Graduate Student Society Advocacy Award. This award, established in 1994 by the Graduate Student Society (GSS), is bestowed annually to recognize a faculty member in the School of Medicine and Dentistry who has made significant contributions in promoting excellence in graduate education through participation, facilitation, and promotion of GSS goals and events. The faculty member may be nominated by any SMD student, and is chosen by a GSS Executive Board vote. The award will be presented at the School of Medicine and Dentistry Convocation Ceremony on Tuesday, September 12th at 4:00pm in the Class of 1962 Auditorium. The department would like to extend congratulations to Mark on this recognition, as it is a well-deserved honor. Dr. Lynne Maquat, J. Lowell Orbison Endowed Chair and Professor of Biochemistry and Biophysics in the School of Medicine and Dentistry, Director of the Center for RNA Biology, and Chair of Graduate Women in Science at the University of Rochester was recently featured on the podcast, People Behind the Science. Lynne discusses her mentors and career milestones, and offers advice to junior scientists. Maquat recently received the Federation of American Societies for Experimental Biology's Excellence in Science Award, which recognizes women who have made outstanding contributions to science through research discoveries and by training the next generation of scientists. The entire interview can be listened to for free on iTunes. Russel Hilf, Ph.D., Professor Emeritus in Biochemistry and Biophysics, was listed among American Society of Biochemistry and Molecular Biology members with at least 50 years of membership. The ASBMB is a nonprofit scientific and educational organization with over 12,000 members, founded in 1906. The Society's mission is to advance the science of biochemistry and molecular biology and to promote the understanding of the molecular nature of life processes. Congratulations Russ! 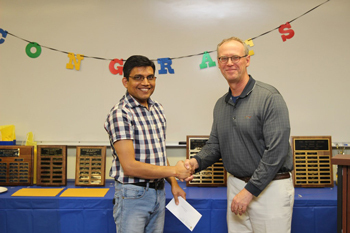 The department of Biochemistry and Biophysics recently presented to the inaugural Sayeeda Zain Travel Award to Mathew Payea and Laxmi Narayan Mishra. Matthew Payea is a 6th year graduate student in the Biochemistry Ph.D. program studying tRNA biology in laboratory of Eric Phizicky. Matthew received his Bachelors in Science from Eastern Illinois University, majoring in Biochemistry. Matthew used the funding provided by the Sayeeda Zain Travel Award to attend the 22nd annual meeting of the RNA Society in Prague, Czech Republic this past June. There, he gave a talk on his research defining an RNA decay pathway in yeast that destroys mutant tRNAs. Laxmi Narayan Mishra is a postdoctoral associate working in Dr. Jeffrey J Hayes’ Lab in the Department of Biochemistry and Biophysics, University of Rochester Medical Center. He has a Masters degree from University of North Bengal, Darjeeling, India and a Ph.D. in Biochemistry from Jawaharlal Nehru Centre for Advanced Scientific Research, Bangalore, India. His research is focused on how epigenetic modifications alter chromosome structure to facilitate gene expression. His Dr. Mishra will use the Sayeeda Zain Travel Award to attend and present his research findings at the international EMBO conference on “The Nucleosomes: From Atoms to Genomes” at Heidelberg, Germany, in August 2017. 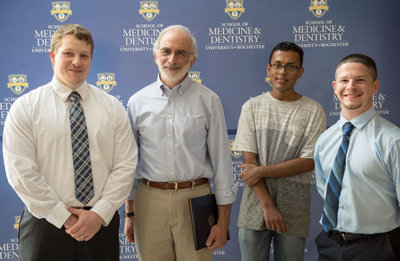 The Sayeeda Zain Travel Award is given semi-annually to one or more graduate students and postdoctoral fellows in the Department of Biochemistry and Biophysics at the University of Rochester School of Medicine and Dentistry. The award honors the life and achievements of Professor Sayeed Zain, Ph.D., a longtime faculty member in the Department of Biochemistry and Biophysics. Learn more about the award and Dr. Zain. Scientists are a step closer to understanding how DNA, the molecules that carry all of our genetic information, is squeezed into every cell in the body. How DNA is “packaged” in cells influences the activity of our genes and our risk for disease. Elucidating this process will help researchers in all areas of health care, from cancer and heart disease, to muscular dystrophy and osteoarthritis. DNA is a long, floppy molecule, and there’s more than three feet of it in every cell. Our DNA is housed in structures called chromosomes, which condense the DNA to fit into the cell’s tight quarters. Scientists from the department of Biochemistry and Biophysics at the University of Rochester School of Medicine and Dentistry worked with colleagues in France and Japan to describe the first step of DNA packing in a cell. They provided the first-ever detailed picture of the most basic building block of chromosomes, known as the nucleosome, and found that a protein known as H1 (for linker histone H1) helps DNA become more compact and rigid within the nucleosome. In contrast, when H1 isn’t present, the DNA is loose and flexible. The tight structure that H1 creates helps shield our DNA from various factors that can activate or “turn on” certain genes. Without H1, DNA is more accessible to factors that could trigger disease-causing genes. Lead study author Amber Cutter, a graduate student in Hayes’ lab, put all of the components – DNA, H1, and other proteins – together in tiny test tubes and conducted various biochemical experiments. Her tests, coupled with the X-ray images, confirmed H1’s role. Hayes and Cutters' work was supported by the National Institutes of Health. Cancer is an extremely complex disease, but its definition is quite simple: the abnormal and uncontrollable growth of cells. Researchers from the University of Rochester’s Center for RNA Biology have identified a new way to potentially slow the fast-growing cells that characterize all types of cancer. The findings, reported today in the journal Science and funded by the National Institutes of Health, were made in kidney and cervical cancer cells in the laboratory and are a long way from being applied in people. But, they could be the basis of a treatment option in the future, the authors said. All cells go through the “cell cycle,” a series of events that culminate in orderly cell growth and division. In cancer, the cell cycle is out of whack; cells divide without stopping and invade surrounding tissues. Researchers identified a protein called Tudor-SN that is important in the “preparatory” phase of the cell cycle – the period when the cell gets ready to divide. When scientists eliminated this protein from cells, using the gene editing technology CRISPR-Cas9, cells took longer to gear up for division. The loss of Tudor-SN slowed the cell cycle. “We know that Tudor-SN is more abundant in cancer cells than healthy cells, and our study suggests that targeting this protein could inhibit fast-growing cancer cells,” said Reyad A. Elbarbary, Ph.D., lead study author and research assistant professor in the Center for RNA Biology and the department of Biochemistry and Biophysics at the University of Rochester School of Medicine and Dentistry. Maquat’s team discovered that Tudor-SN influences the cell cycle by controlling microRNAs, molecules that fine tune the expression of thousands of human genes. When Tudor-SN is removed from human cells, the levels of dozens of microRNAs go up. Boosting the presence of microRNAs puts the brakes on genes that encourage cell growth. With these genes in the “off” position, the cell moves more slowly from the preparatory phase to the cell division phase. “Because cancer cells have a faulty cell cycle, pursuing factors involved in the cell cycle is a promising avenue for cancer treatment,” noted Maquat, director of the Center for RNA Biology and the J. Lowell Orbison Endowed Chair and professor of Biochemistry and Biophysics. Keita Miyoshi, Ph.D., staff scientist in Maquat’s lab, served as lead study author with Elbarbary. Jason R. Myers and John M. Ashton, Ph.D. from the UR Genomics Research Center played an instrumental role in the study analysis. A team led by Xin Li, Ph.D., assistant professor in the departments of Biochemistry and Biophysics and Urology at the University of Rochester School of Medicine and Dentistry, analyzed rooster testes to find out. BMB and BSCB graduate students, Lauren Benoodt, Tyler Couch, and Lisa Houston have been selected as joint winners of the 2017 Edward Peck Curtis Award for Excellence in Teaching by a Graduate Student. The students will be presented with a certificate, as well as checks of $700 for each. The three of them were TA’s for IND 408 (Advanced Biochemistry) in the Fall of 2016. The Edward Peck Curtis Award for Excellence in Teaching by a Graduate Student was established to recognize graduate students who advance the teaching mission of the University by providing highly skilled and innovative undergraduate instruction. The strongest nominations show innovation in teaching and a positive impact on the learning of undergraduates. Congratulations Lauren, Tyler, and Lisa! Lynne E. Maquat, Ph.D. has spent her career unraveling what happens in our cells during disease, making seminal contributions to our understanding of RNA’s role in sickness and in health. She’s also committed countless hours to mentoring the next generation of researchers and advocating for young women in the sciences. For these exceptional efforts, she’s receiving the 2017 Lifetime Achievement Award in Science from the international RNA Society. The J. Lowell Orbison Endowed Chair and Professor in the Department of Biochemistry and Biophysics at the University of Rochester School of Medicine and Dentistry, Maquat began her professional career studying inherited anemias. She discovered a quality control process that blocks the creation of toxic proteins that cause disease. Known as nonsense-mediated mRNA decay or NMD, this process plays a part in one third of all inherited diseases, such as cystic fibrosis and muscular dystrophy, and one third of all acquired diseases, including a number of cancers. 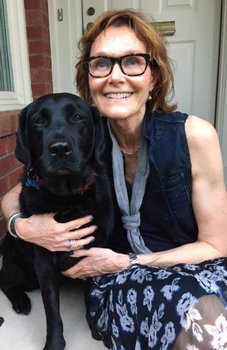 “This award recognizes Lynne’s pioneering contributions to understanding the mechanisms of RNA, as well as her outstanding leadership, support and commitment to our field, including her role as a model for new generations of scientists,” said Juan Valcarcel Juarez, current president of the RNA Society, who works at the Centre for Genomic Regulation in Barcelona, Spain. The University has purchased a J-1100 circular dichroism (CD) spectrometer from JASCO Inc. The shared-use instrument will be housed and maintained as part of the Structural Biology and Biophysics facility. Manager Jermaine Jenkins will maintain the instrument, as well as manage user time, train users, and assist with data collection and analysis as needed. Email Jermaine Jenkins, Ph.D. to plan your experiments. Biophysics PhD candidate, Karl Smith, is giving a talk at the Memorial Art Gallery, this Thursday at 7pm as part of their Hidden Passions speaking series. At URMC, Smith studies glass filters 10,000 times thinner than a human hair as part of the Nanomembranes Research Group. It’s because of his rigorous academic schedule that he began the 10-cent project. The Pittsburgh native has written more than 900 stories, each roughly 500 words, on half sheets of paper. Strangers give him a prompt, and he pecks away. He’s crafted stories about lost loves, lost dogs, sea lions, flying princesses, and frogs who jump over the moon. Stories about babies, treehouses, aardvarks, and dancing polar bears. Stories about murder. Read more about Karl and his passion. Dr. Harold Smith, Professor at The University of Rochester, has been selected to join the Education Board at the American Health Council. Dr. Smith will be sharing his knowledge and expertise in the field of molecular biology, molecular virology, RNA biology, and drug discovery. Dr. Harold Smith became involved in research after beginning his career as a professor in the Department of Biochemistry at The University of Rochester. As a biophysics professor, he utilized his knowledge and expertise in the areas of research and innovation of RNA, protein molecular biology, cell regulation, and drug discovery. Furthermore, Dr. Smith develops curriculum, teaches and mentors students from high school to postgraduate. Dr. Harold Smith is also the Founder, President, and CEO of OyaGen, Inc. The objective of OyaGen, Inc. is to induce transient and beneficial changes in the protein expression and function in human tissues by involving the editing enzymes in targeting biomedically relevant pathways. Dr. Harold Smith is a member of The American Heart Association, The Council on Atherosclerosis, The RNA Society, The American Society for Biochemistry and Molecular Biology and a fellow in the The Royal Society of Biology. In addition, Dr. Smith serves on the Scientific Advisor Board of Cannabis Sciences, Inc., IgxBio, Inc. and Trovita Health Sciences as well as the Editorial Board of the International Journal of Virology and AIDS, Frontiers in Microbiology, The Journal of Biological Chemistry, and The Journal of BioDiscovery. Benjamin L. Miller, Ph.D., professor of Dermatology, recently received yet another patent for a new technology that can detect miniscule amounts of specific molecules in blood or other liquids. The patent focuses on using this technology to make detecting immune responses to the flu quicker and easier. The AIR™ Platform, marketed by Adarza Biosystems, can detect immune responses to flu vaccines as well as the virus itself. With a small blood sample from a patient, doctors can confirm a flu infection, see if the patient mounts an appropriate immune response to a vaccine, or see if immune responses cross react with several different strains of flu. AIR™ can also be used for viral surveillance. While Miller’s AIR™ system is not the first to make these things possible, it is a great improvement on previous technologies. Its silicon chip, which is only about the size of the end of a pencil eraser, allows scientists to detect hundreds of different target molecules in a single drop of fluid, and its “label-free” design requires fewer steps and reagents, thus reducing cost and opportunities for error. “Label-free” systems suppress background noise to detect tiny signals, whereas conventional “labeled” systems use a more cumbersome design to amplify a tiny signal, often creating a lot of background noise in the process. Miller suppresses background noise using a near-perfect anti-reflective coating on his silicon chips. For every 100 million photons of light that hit the surface of the chip, only one photon is reflected back. That coating also contains capture molecules meant to bind or “capture” specific target molecules, like antibodies produced in response to the flu virus. The more antibodies that bind to the chip, the more the anti-reflective coating is perturbed, and the more light is reflected and captured by a camera. Barry Goldstein is a photographer specializing in portraiture and documentary themes. Originally trained as a physician and biophysicist, he is Associate Professor of Medical Humanities at the University of Rochester Medical Center, Visiting Professor of Humanities at Williams College, and Adjunct Professor of Humanism in Medicine at the NYU Medical School. He was the first Artist-in-Residence at the New York University Medical School on September 11, 2001, an experience that led to his collection Being There: Medical Student Morgue Volunteers Following 9/11. His most recent book, Gray Land: Soldiers on War, is a collection of portraits of, and interviews with soldiers in Iraq and at home. He lectures and exhibits widely, and is a recipient of a Massachusetts Cultural Council Artists Grant in Photography. Most recently, Barry provided coverage of the Republication National Convention for the American Scholar. His RNC work can be seen at The American Scholar and on his website. Former Biophysics student, Blanton Tolbert (PhD 2006), mentored by Doug Turner & Ravi Basavappa, has been awarded the Morton L. Mandel endows award for outstanding chemistry faculty members at Case Western Reserve University. The "Friends of Joe's Big Idea" is a vibrant community of talented people we think you should meet. With our feature, FOJBI Friday, we're introducing some of these cool communicators of science in their own words. This week: Karl Smith. I'm a fifth-year biophysics doctoral candidate at the University of Rochester, where I study porous ultrathin silicon membranes. At the moment I'm taking a brief break from my research to be an American Academy for the Advancement of Science Mass Media Fellow at the Manhattan office of Scientific American. I love science communication because it's both hard and important. People need to be told what scientists have discovered and what it means for their lives, but to do that well requires balancing the storytelling needs of journalism against objectivity and sober contextualization. Also, I personally find scientists to be generally fascinating people to write about and hear from. Along with my co-producer Madeline Sofia, I created The Bench Warmer's Podcast, which tells stories of misadventures and victories in science using interviews with current and former graduate students. I think the stories that don't often get told about science — the scoops, the failures, the dead ends, rewrites and rejections — are just as important to tell as the wild success stories. Not only that, but I think we short-sell our successes by not highlighting how rare they are. So, in the podcast, Maddie and I ask questions like "What's the most expensive thing you ever broke in lab?" and "Have you ever embarrassed yourself by dislocating your knee while singing karaoke onstage in front of hundreds of your scientific peers and possible future employers?" I also write "10-cent stories" for children at the Rochester Museum and Science Center and at a few other places around Rochester. The children give me a prompt and in five minutes I use my typewriter to type them a tale. I've been doing this for about three years now, and I've written well over 800 stories. Sometimes the stories have a STEM bend to them, but sometimes they're just stories. I love this project for a lot of reasons, but most of all because it lets me make the world a stranger, more whimsical place. I've only been at my fellowship for a few weeks, so I'm still deciding if I want to be a science journalist or if my plans lie elsewhere. This is a time of great flux for me, so I don't know yet where I'm heading. But I'm enjoying figuring it out. Biochemistry & Biophysics Associate Professor, Clara Kielkopf's project, entitled, Structural mechanisms and targeting of MOS-relevant pre-mRNA splicing factors has been selected by EvansMDS for funding for 2016. This year EvansMDS requested 12 full DRG proposals and were able to fund 6 of them. Their hope is that these findings will translate into improvements in therapy that can be delivered to MDS patients. The Kielkopf lab investigates splicing defects in hematologic malignancies; roles of human pre-mRNA splicing factors in HIV-1 infectivity; development of engineered splicing factors for correction of splicing defects and splice sites and their associated proteins as therapeutic targets. Mallory Scott, Biophysics, Structural and Computational Biology PhD student, in the laboratory of Dr. Paul Kammermeier, has been selected for a summer internship at Bayer Pharmaceuticals in Whippany, NJ in Global Regulatory Affairs. Mallory will gain valuable work experience in the healthcare industry while working with regulatory professionals on various projects to learn about the role of regulatory affairs in drug development and product registration as well as the regulatory landscape. Mallory will be working in the Chemistry, Manufacturing and Controls (CMC) division. Her project is focused on quality by design in continuous manufacturing. Karl Smith, 5th year graduate student in the Biophysics Structural and Computational Biology PhD program, laboratory of Dr. Jim McGrath, has received an AAAS (American Association for the Advancement of Science) Mass Media Fellowship. 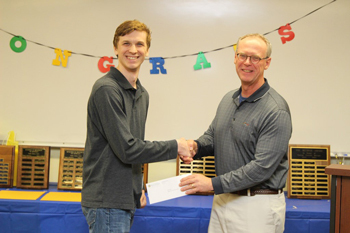 Karl, sponsored by the American Physical Society, will be spending 10 weeks this summer working at Scientific American in their Manhattan offices as part of his fellowship. Since its inception, the AAAS Fellowship Program has supported more than 625 student scientists, engineers and medical professionals who, in some cases, produced the only original science-news reporting at their assigned media outlets over the summer. The current 15 fellows, selected from a pool of 130 outstanding applicants, are likely to generate between 200 and 300 original science stories for print articles, blogs, podcasts, radio segments, and multimedia features. Past participants in the Mass Media Fellows program include Mark Dumont, Professor, Department of Biochemistry and Biophysics, who received the AAAS Mass Media Fellowship in 1975, the second year that it was in existence. Over that summer, he wrote 26 news articles for the San Diego Union. Other recipients include Erica Goode and Kenneth Chang of the New York Times; Richard Harris, David Kestenbaum, and Joe Palca of NPR; renowned biologist Eric Lander, co-chair of U.S. President Barack Obama's Council of Advisors on Science and Technology; physician and "Law & Order: Special Victims Unit" Executive Producer Neal Baer; Victoria Bruce, author of No Apparent Danger: The True Story of Volcanic Disaster at Galeras and Nevado Del Ruiz; and many others. - from AAAS's website. Karl Smith, a PhD student in Biophysics and a member of the lab of James McGrath, Professor of Biomedical Engineering, won third place in the University of Rochester’s Falling Walls Competition for describing his use of physics to make water behind a filter form a mixer vortex, reducing the difficulty of normal stirring when fluids stick to surfaces. A total of 19 presenters competed. The competition is associated with the Falling Walls foundation, a non-profit organization that fosters discussions on research and innovation and promotes the latest scientific findings to society. The Rochester winner’s idea will compete with others from around the world at the Falling Walls Lab Finale in November in Berlin. This event selects the participants for the annual Falling Walls Conference the following day: an international forum for science and innovation to commemorate the fall of the Berlin Wall. Speakers at the conference have included Angela Merkel, Chancellor of Germany; Nobel Prize winner Sir Paul Nurse; and young inventors from around the world. BBC London said it was where the “brightest minds on the planet” meet. Last year’s Falling Walls Lab Rochester winner, Ryan Trombetta, a BME PhD student in Dr. Awad’s lab, finished 12th (out off a 100 finalists worldwide) in the Berlin competition for his description of using 3D printed bone grafts to treat osteomyelitis. See his presentation here. From left to right, Solomon Abiola, Sara Nowacki and Karl Smith, the top three finishers at the Falling Walls Competition. As hundreds of millions of dollar pour into Rochester to establish the nation's first Photonics Hub, Mark Gruba has a closer look at the technology in a News 8 special report, "The Future of Photonics." Photonics is the science and technology of generating, controlling and detecting photons, which are particles of light. A display at the Rochester Museum & Science Center houses examples of its many applications. In one, a transmitter converts an audio signal from electrical pulses into light pulses. The laser beam sends that information to the receiver, which converts the light pulses back to electrical pulses and sends them to the speaker for your listening enjoyment. "We work on optical bio sensors," said Dr. Ben Miller, a researcher at the University of Rochester Medical Center. He's creating a sensor that can detect the presence of hundreds of viruses from a single blood sample, in real time. "We're working to make devices so that you can immediately get that information in the doctor's office," said Dr. Miller. The clinical trials group had a very tight timeline to meet for one of our clients. Testing had to be completed by the 25th of January so the client could present the data to the FDA. JJ was aware of the required quick turnaround time and he met the challenge. He worked the weekend so that our client's needs would be met. It is so impressive to work with such a dedicated scientist who takes his job so seriously. With JJ's help, URMC Labs Clinical Trials group made a very good impression on a client. As Facility Manager of the Structural Biology and Biophysics Facility, Dr. Jenkins offers support services to determine macromolecular x-ray crystal structures, and to investigate protein-protein, protein-nucleic acid or protein-small molecule interactions. Professor Clara Kielkopf – a long time user and co-founder of the Facility commented, JJ quickly, calmly and reliably responds to user needs . 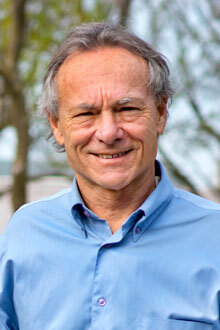 Co-director of the Facility Professor Joseph Wedekind added, Dr. Jenkins is an outstanding and dedicated scientist. We are fortunate to have such a great colleague . Please join us in expressing your gratitude to JJ for his service and dedication. For Karl Smith, the storytelling bug began with a Montgomery Ward No. 22 typewriter purchased for $5 at a moving sale. Typewriter perched on his lap, the doctoral student in biophysics has become a fixture at the Rochester Public Market, Corn Hill Arts Festival, and other Rochester-area arts-oriented venues. For 10 cents, he crafts a half-sheet-long tale about grandchildren, lost loves, pets, or the absurd. The clacking of keys on paper draws a curious crowd. I derive a lot of meaning and joy from making things that other people draw joy from, says Smith. 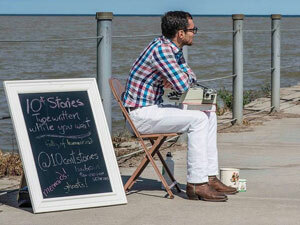 As a graduate student at Rochester, Smith has been finding lots of ways to share his love of storytelling. In addition to his peripatetic typewriting, he’s the leader of Rocket Radio Theater, a troupe of radio performers whose core membership includes fellow like-minded medical science graduate students Clarence Ling, Jon Baker, Carolyn Klocke, Bronwyn Lucas, and Matt Payea. The project began in 2013 with a recording at Smith’s kitchen table. 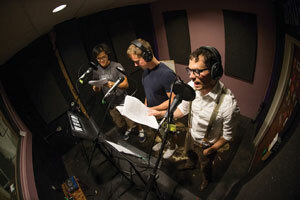 The group, which now records in the studios of campus radio station WRUR, hosts several serial drama podcasts and stand-alone stories created by Smith. Its feature series, The Bootleggers, takes place during prohibition-era Rochester, playing up aspects of local history and landscapes. In his research as a biophysicist, Smith explores nanoporous silicon membranes in the lab of James McGrath, professor of biomedical engineering. Smith describes the membranes as coffee filters made of glass that are 10,000 times thinner than a human hair. But he hopes to continue to combine storytelling and science after graduation, perhaps as a science journalist or a podcaster. I want to live in a world, he says, where people are standing on street corners writing stories. OyaGen, a small medical research firm off Jefferson Road in Henrietta, has used federal grants for its HIV drug discovery programs with the goal of finding a cure. Dr. Harold Smith, Professor of Biochemistry & Biophysics at the University of Rochester, and the company's founder, president and CEO got his start as a molecular biologist studying heart disease. "It became clear to me that the things we were doing to study heart disease and find out why things were happening translated directly into the HIV research arena," Smith said. By 2010, things kicked into high gear. Advanced robotics were added allowing scientists to work with advanced chemistries. They've now identified a weak point in the HIV virus that's never been exploited before. Vif is a viral defense HIV releases into cells it infects. It destroys the body's natural defense against infections. OyaGen discovered a way to defeat HIV by disabling Vif. "If we can proceed along track, we will be looking at entering clinical trials within a completely different way of approaching the virus and the disease within three years," Smith said. To read more see the Channel 8 story. It is with much sadness that we inform everyone of the passing of Rose Burgholzer, after a long and courageous battle with cancer. Rose worked at the University for 40 years, almost half of that as an administrator in our department. She was a dear friend and colleague and will be greatly missed. Many former students remember Rose fondly and have communicated with her during her illness, and she graciously received a steady stream of visiting faculty and staff in her home these past few years. A Funeral Mass was held Wednesday, June 17, at St. Kateri at St. Margaret Mary Church in Rochester, with entombment at Holy Sepulchre Cemetery. Memorials may be directed to a charity of your choice. View her obituary and a slideshow from Rose's family. A University of Rochester team found a way to make chemotherapy more effective, by stopping a cellular quality-control mechanism, according to a study published today in Nature Communications. The mechanism is known as NMD (nonsense-mediated mRNA decay), and scientists found that exposing breast cancer cells to a molecule that inhibits NMD prior to treatment with doxorubicin, a drug used to treat leukemia, breast, bone, lung and other cancers, hastens cell death. The research team, led by Lynne E. Maquat, Ph.D., director of the Center for RNA Biology at the University of Rochester, acknowledges that the work is in the early stages and a long way from being applied in humans. But, they believe their data provide insights that could lead to new treatment strategies for cancer patients in the future. Lynne E. Maquat, Ph.D. received the 2015 Gairdner International Award for the discovery and mechanistic studies of nonsense-mediated mRNA decay, a cellular quality control mechanism that derails the production of unwanted proteins in the body that can disrupt normal processes and initiate disease. She is one of five scientists honored with the award, which is given every year to recognize the achievement of medical researchers whose work contributes significantly to improving the quality of human life. The J. Lowell Orbison Endowed Chair and Professor of Biochemistry and Biophysics at the University of Rochester Medical Center, Maquat is known around the world for her work on nonsense-mediated mRNA decay, which is critically important in both normal and disease states. She is considered the uncontested pioneer on the subject and in 2011 was elected to the National Academy of Sciences for her exceptional research, which has been published in more than 130 peer-reviewed scientific articles. Maquat is the first scientist from upstate New York to receive the Gairdner International Award, which is recognized for its rigorous peer-led selection process. A panel of active Canadian scientists reviews all nominations and passes their recommendations to a board of two dozen senior scientists from across Canada, the United States, Europe, Australia and Japan. After in-depth study and review, board members cast votes for the nominees whose achievements rise above all others in their field. According to the Gairdner Foundation, of the 313 winners to date, 82 have gone on to receive a Nobel Prize in Physiology or Medicine, a testament to the quality of the awardees. The award was also highlighted in the Opinion pages of Saturday’s Democrat and Chronicle in the Thumbs up, thumbs down section: Thumbs up: For Dr. Lynne Maquat, who is one of five biomedical researchers from around the world to win this year's Gairdner International Award. The University of Rochester Medical Center scientist has joined a prestigious group. Since 1959, more than a quarter of the Gairdner International winners have gone on to win a Nobel Prize, too. 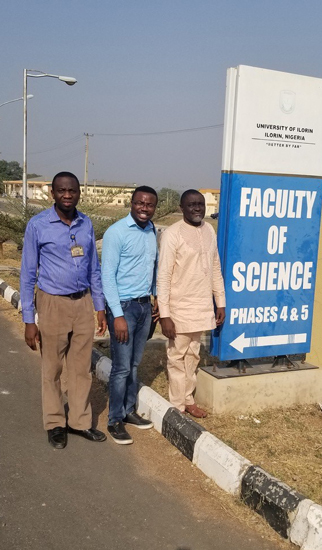 The Biochemistry and Biophysics department is pleased to announce that a number of the department's graduate students have undertaken a very creative project. Specifically, six of our graduate students have been writing, producing, and voice acting in a serial podcast about bootleggers smuggling rum across Lake Ontario in 1921. 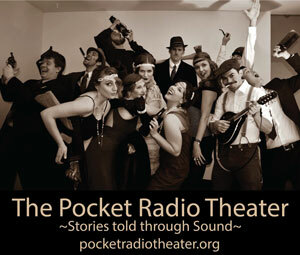 You can access the first three episodes on iTunes, or you can find them on their Pocket Radio Theater Facebook page. While contingent on their individual research workloads, their plan is to release more episodes on a monthly basis for a total of around 20. Check out the creative endeavors of your departmental colleagues! The Department of Biochemistry & Biophysics are very pleased to announce a new student award within the Biochemistry and Molecular Biology program, to be given at our annual Awards Ceremony in May. The Fred Sherman Award will honor the memory of our former colleague, and will annually recognize a student in the BMB program who exemplifies the imagination, the excellence in the pursuit of scientific knowledge, and the commitment to the scientific community that were characteristic of Fred Sherman. This award will compliment the William F. Neuman Award, given annually to a BSCB student to recognize academic, scientific and personal qualities which exemplify the imagination, enthusiasm and excellence in the pursuit of scientific knowledge which were characteristic of the life of Dr. William F. Neuman.